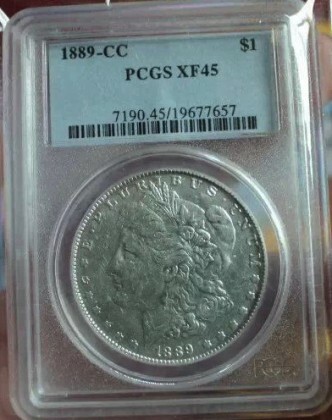 A fake found on eBay originally identified on the Collector’s Universe Forums. 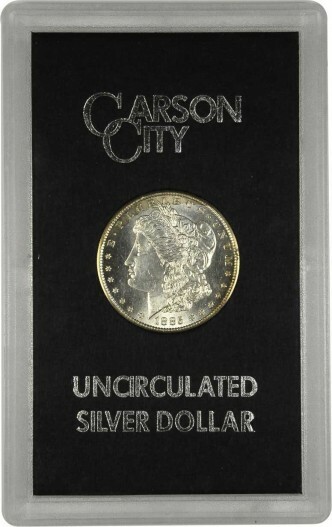 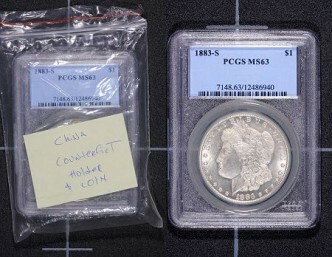 An example of a fake PCGS slab next to its genuine counterpart published on CoinWeek. 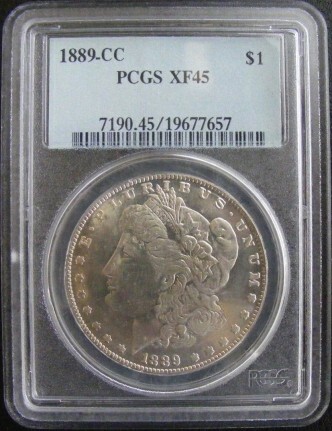 The first counterfeited PCGS Edge View holder found in the wild. 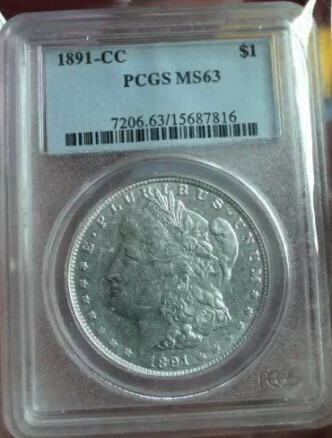 Originally discovered on the CoinTalk Forum. 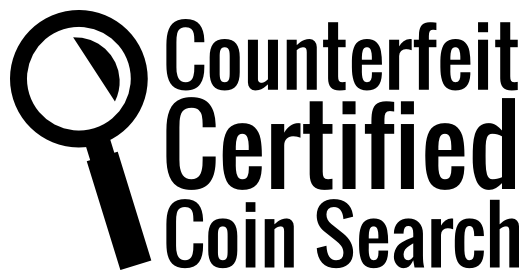 Cert number is invalid. 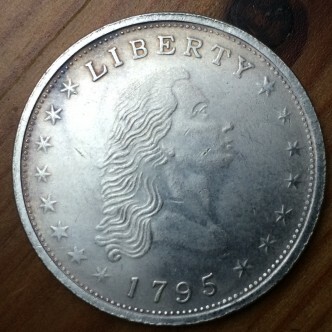 A counterfeit GSA holder identified by NGC with a counterfeit coin in it. 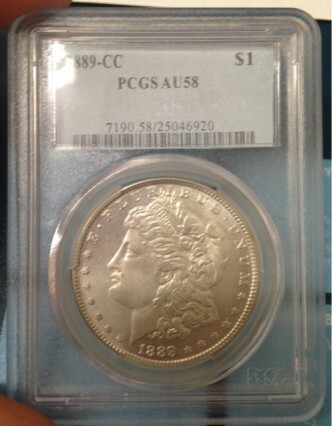 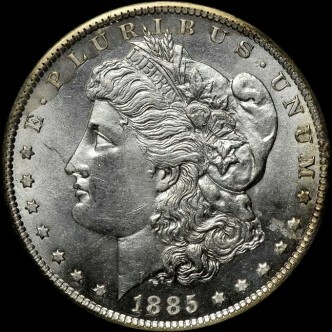 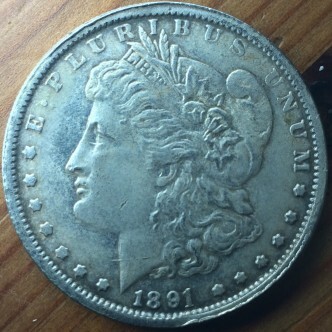 Of nearly identical composition to CS-S$1-1881CC-GSA-0001. 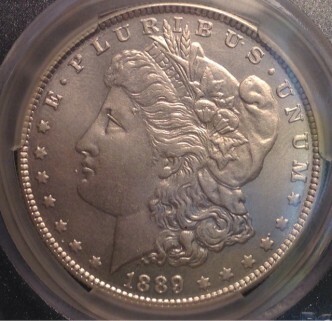 A struck counterfeit found in a fake GSA holder identified by NGC.